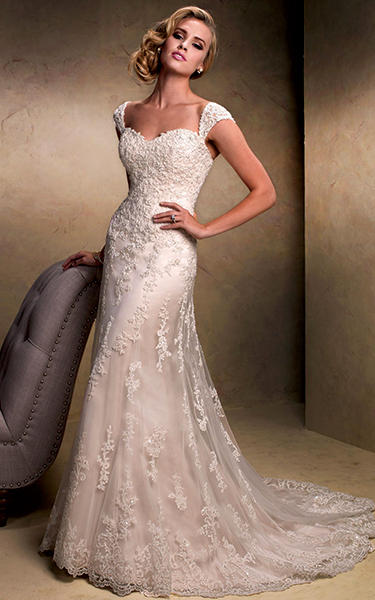 Welcome to our Bridal Gown Custom Size Chart page. Purchasing your bridal dress for your wedding day is so very important. You will want to make sure that your measurements are quite accurate. When you order any of our bridal gowns or wedding dresses at Simply Delicious, we ask that you make a copy of this bridal gown custom size chart description chart. Have someone take your measurements so that we may insure that your dress is custom made just for you. Please remember that each wedding dress is made just for you for your special day so always order 60-90 days prior to your wedding day and allow this time for them to make the dress and ship it to our home office. On your wedding day, it’s all about the dress! Please make certain that you get accurate measurements and make allowances for your shoes (the height of the heel should be added to your height). As well as the lingerie and wedding undergarments you’ll be wearing underneath your bridal gown. You don’t want your dress to be too tight due to your wedding day underthings. This is a very important step for your bridal gown custom size chart. All dresses need specific custom sizes according to your torso: Please send the following information to us when you order: For Example: Size unit: centimeters or inches. 8.Arms eye:______________________ inches or cm. 11.upper arm length:_______________ inches or cm. 12.Length of armpit to elbow:_________ inches or cm. Can I customize my wedding dress? Absolutely you can, after all, it is your wedding dress! If our regular sizes don’t work for you we can have your bridal gown customized for you according to your exact measurements. To ensure you receive your dress in plenty of time, we do ask that you place your order as early as possible to avoid prolonged tailoring especially during peak seasons. We cannot guarantee shipment will arrive on time if you order too close to your wedding date, and you wouldn’t want to put something so important off until the last minute. You also want to order it far enough in advance so that if it needs altered, you can take it in to your seamstress to have this done. Your gown can take on average 6-8 weeks once your order is placed. During peak season, we recommend placing your order sooner. Yes of course you can! If your size fluctuates or you want to modify the dress slightly, we always leave a few inches in the seams so that your local tailor can easily make alterations as needed. Dresses generally have a margin of 1 inches on either side of a seam. Flower detailing, beading or belts/ribbons may limit ability to let a dress out. Will my dress look exactly like the picture? Our team of seamstresses do everything to make your dress as beautiful as the photograph, nonetheless, no dress is ever the same. We custom make each dress according to you. Depending on your size and shape you may have more or less applique, beads and sequins. The cut of your gown may not be as low down your back depending on your size ordered, but it will look significantly close. Your body type/frame/build, height and weight will determine the precise cut so that your gown flows beautifully. To keep updated on all of our bridal products, please follow Simply Delicious on Facebook or Twitter.